Dress up and Join Us At Cosplay Commuter 2018! Back for its second year, the largest cosplay gathering on a train is making its triumphant return! 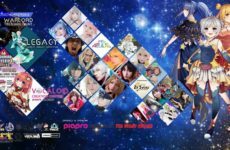 Cosplay Commuter 2018 will be held on the 15th of September 2018 from 10AM to 10PM with its headquarters at KL Gateway Mall. Admission is FREE and open to the public with exciting activities at selected train stations and KL Gateway Mall for all ages to enjoy, whether you cosplay or not! Last year, Cosplay Commuter was THE MAGIC RAIN’s first event that that combined the hobby of cosplaying with the usage of the Light Railway Transit (LRT). 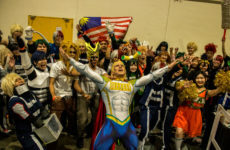 It was the first ever large-scale cosplay gathering on a train, not only in Malaysia but in the world! Over 500 cosplayers in costume joined together to make Cosplay Commuter 2017 a great commercial success, receiving widespread attention across newspapers, online videos, articles and TV news both local and international. 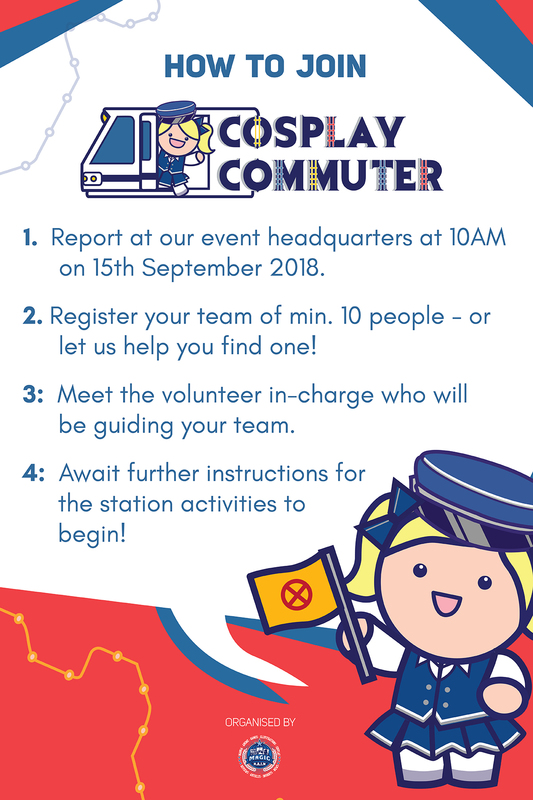 In 2018, Cosplay Commuter continues to be a celebration of youth, unity, and patriotism in conjunction with Malaysia Day. Participants are welcome to show up in traditional garments this year to show their Malaysian pride and join in the colourful sea of people! 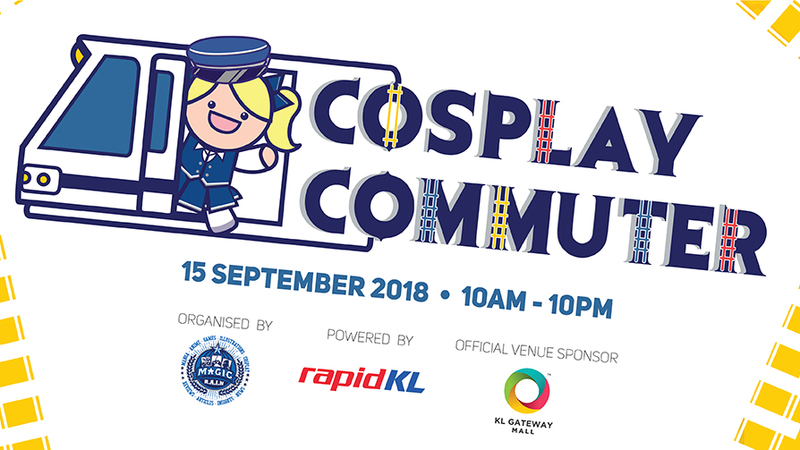 COSPLAY COMMUTER is the pioneer of unorthodox events that debuted last year in Malaysia to combat the stagnancy of the events in the ACG community. Forget the standard conventions in a closed space and embrace the outdoors. One word describes us best……..UNORTHODOX. The event was designed to promote an air of positivity to Malaysians, as the cloud of negativity seems to be looming over everyone. We hope participants can forget about the hustle of the work, destress and just relax for a day with everyone on the LRT. We hope to encourage participants to actively interact and get to know each other better through our activity lineup. Meeting new people is a great way to expand your network and also share opinions about your favourite past time and hobbies. We hope to create a bond of unity between cosplayers and non-cosplayers, regardless of age, class, creed, occupation and skin colour. We will have to get all the support we can get from different parties, to truly exhibit the harmony of living in Malaysia. This event is done to showcase the youth of Malaysia and their creativity on a public scale. We want to highlight the vibrant culture and the capability of the youths today when they are backed and empowered by people that truly care about their growth and interests. What are the attractions of Cosplay Commuter? Participants will be grouped up into teams of 10 or more before they journey on a fun-filled adventure around the train stations. Together as a team, they can choose how to embark on their journey; do they complete all the train stations? Or relax at KL Gateway Mall? It’s up to you to decide! Registration for teams will be carried out at KL Gateway Mall from 10AM until 12PM on the event day. If you missed the registration period, fret not – for you can approach any of our teams walking around and ask for permission to join their group. We practice a freeflow system so anyone can join in the fun, even if you’re joining in the middle of the day! All along the Kelana Jaya LRT Line, there will be unique and exciting activities for participants to enjoy! You can expect activities such as Photography Stop, My Cosplay Story, Video Games Stop, Buskers Zone, and more to engage in. When you complete selected activities, your team can also walk away with some attractive prizes! Feeling fatigued? Need a break for your soles? 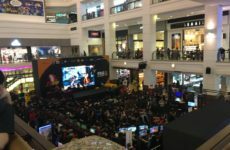 Here’s an option for you: There will be activities ongoing throughout the day at our event headquarters in KL Gateway Mall, with a plethora of performances, panels and showcases sure to keep everyone entertained and excited! After the station activities come to a close, there is a Secret Activity in store for those who are curious enough. What is it? You’ll only find out on the day itself! 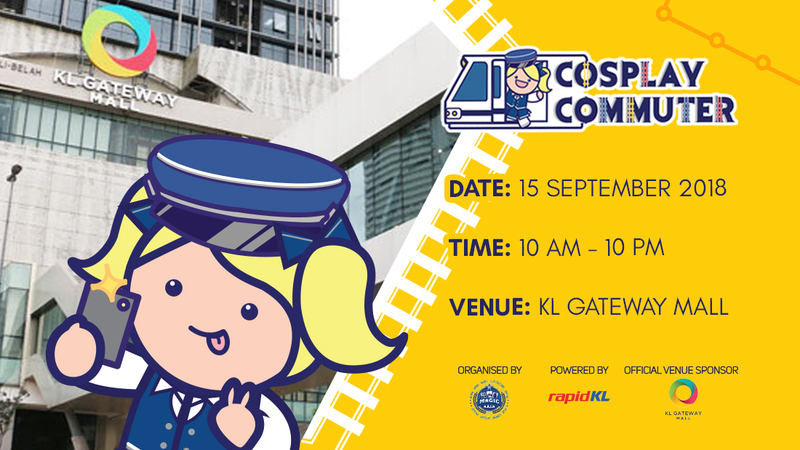 Cosplay Commuter 2018 is powered by RapidKL and supported by KL Gateway Mall. Do you have questions about whether you can join without cosplaying? Or what are the event rules regarding large props? Check out our handy FAQ and Rules & Regulations! For more information about the event, follow The MAGIC RAIN on Facebook or Instagram for all the latest updates!